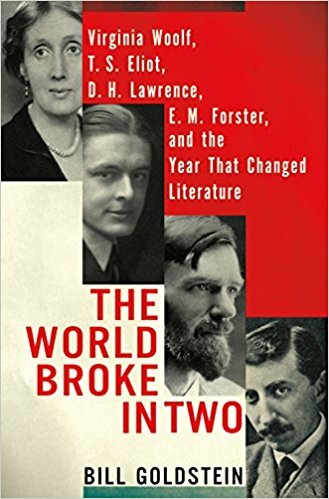 The story of the intersecting lives and works of revered authors Virginia Woolf, T. S. Eliot, E. M. Forster and D. H. Lawrence during 1922, the birth year of modernism. ...engaging and very well researched ... Goldstein’s insightful and graceful prose reveals four authors during troubled moments of their careers, and he is fortunate in having a trove of writings from which to draw. Forster, Woolf and Eliot knew each other very well, read one another’s writings with an eye to what might be artistically useful, and reviewed one another’s work in journals. This year-in-the-life chronicle gives us a remarkable look at the gestation of literature. 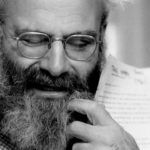 In letting these four writers speak in their own words — their own witty, gossipy, often waspish words — Goldstein neatly avoids a dutiful chronicling of anything so weighty and abstruse as The Rise of Modernism. Cannily, he sacrifices historical sweep and gravitas for something much more grounded and intimate. In his hands, these literary lions prove surprisingly — and bracingly — catty ... The book comes alive in the ceaseless churn of these intersecting egos, as they turn their withering writerly gazes upon one another — and, less eagerly, upon themselves. Their professional and personal jealousy, spite, anxiety and outrage — the familiar hallmarks of the writer's personality — become a kind of humanizing background noise, drawing us in and allowing us to see them more fully ... enumerating how the year transformed their work proves the heavier lift, and Goldstein finds more success with some writers than others. It is the linked portraits of Forster and Woolf, two friends who each, to their own ends, found a way forward in their work through the example of Proust, that form the most persuasive and valuable part of Mr. Goldstein’s book. The chapters on Eliot and Lawrence are somewhat less successful ... D.H. Lawrence is the odd man out in this quartet, and Mr. Goldstein’s claim that things changed radically for him in 1922 doesn’t convince ... What the book does show convincingly—and somewhat unexpectedly given Mr. Goldstein’s focus on the 'creative struggles' of these talented but fragile writers—is how important the help of friends and family was in supporting them. What did you think of The World Broke in Two?